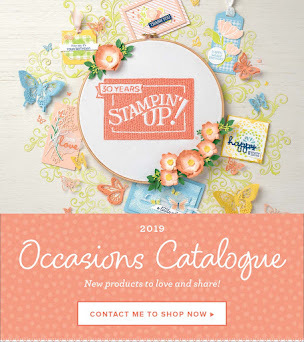 If you're like me and find gifts and cards for men challenging, pick up a catalogue, brochure, magazine, flyer, whatever and see if you can be inspired! Today, while Matthew was sleeping, I grabbed the opportunity to take my big boy Luke to the shops for a bit of Father's Day shopping. I hate buying gifts for men. They are so impossible to buy for it, and they may not admit it, but they are fussy!! After a quick stop at McDonald's (Luke was very hungry after his busy game of soccer (the last game of the season) and a coffee for me (!!). We were off on our mission. First stop to Dymocks, great place to look for books and if that fails, DVD's from their ABC range. Check. Second stop. Hardware shop. Check. Not in stock. Pity, as it is a lovely family business which is being massively undercut by the bigger Bunnings up the road. Third stop. Okay, I gave in and went to Bunnings! Busy. Busy. Busy. Luke and I were exhausted, so he got to ride on trolley (yes, I wished it was me). But present shopping finished. Hooray! If it was shopping for me, well - that's easy!! Anyway, back to what my title's all about :0). I needed to make some Father's Day cards. I scrapped the one I had for my dad, made a new one as well as one for my Father-in-Law. My boys have made their own cards for my WH!! 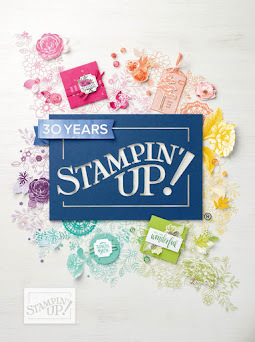 So, looking for ideas, I turned straight to the Stampin' Up! catalogues. This is what I came up with!! 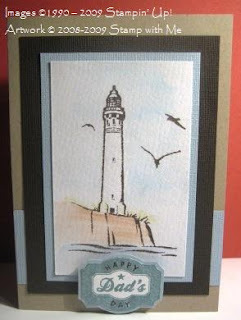 This first card uses the Unchartered Territory set featured in the 2009 Spring Mini catalogue. 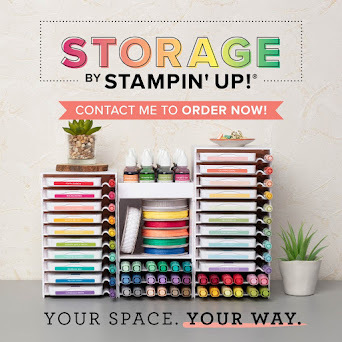 It is perfect for making projects for men! I think it's going to come in very handy!! Papers: SU Chocolate Chip CS, Brocade Blue CS, Kraft CS & Whisper White CS and Watercolour paper. This second card was inspired by the card in the main catalogue (aka SU Idea Book & Catalogue) on page 112. 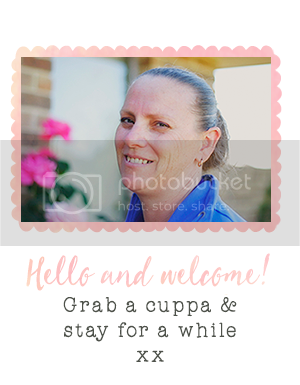 The stamp set featured is the Occasional Greetings set which is SO versatile too! Here's what I used! Papers: SU Basic Black CS, Kraft CS, Not Quite Navy CS & Whisper White CS and Urban Oasis DSP. You might not quite see the ribbon on this one, but all the colours I have used really yell out 'male' colours to me. 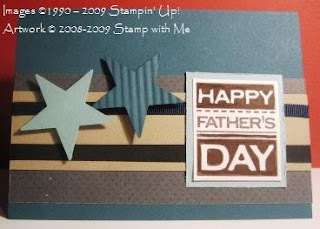 I even distressed the edge of the blue DSP paper used as the background for the Fathers Day image! As promised, tomorrow I will also show some of the other projects I've been working on. It's late, so have a good night and see you soon!